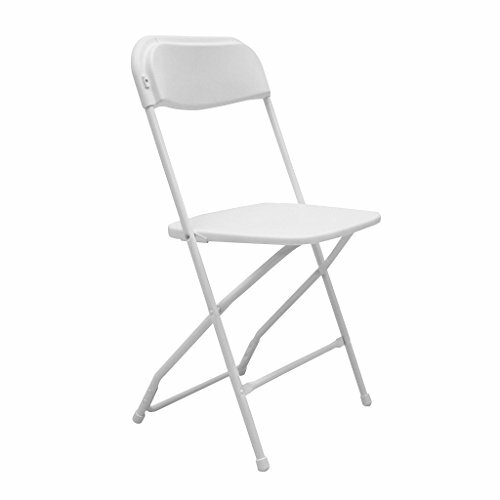 LIGHT WEIGHT: Looking for a light weight folding chair? Look no further. The polyfold chair weighs less than 10 lbs! 10 PACK: That's right, this chair comes in a 10 PACK! Talk about bang for your buck. DURABILITY: Make no mistake, the Atlas Series Polyfold Chair is durable, with a powder-coated steel frame and polypropylene back and seat. This chair can hold up to 250 lbs! EASILY TRANSPORTED: It doesn't get any easier than the Polyfold chair, making set up, take down and transport a breeze! *Check out our other Atlas & Lane products sold on Amazon. Each sold separately." View More In Folding Chairs. If you have any questions about this product by Atlas & Lane, contact us by completing and submitting the form below. If you are looking for a specif part number, please include it with your message.